Bridal Exclusives brings to Oregon the world's foremost designers whose gowns radiate beauty, elegance and style. Dedicated and passionate fashion consultants will assist you during your private appointment (allow 2 hours) in selecting the perfect wedding gown and matching accessories to your style. You can expect to be pampered in a comfortable and relaxing environment where you'll find an incomparable level of service. Bridal Exclusives guarantees the lowest prices on all gowns, and its in-house alterations department will take care of your specific needs in an efficient and cost effective manner. Feel free to bring in champagne and other refreshments to make your moment special for you and your party. Ben Sinsel's Ubetcha Entertainment pairs the fun of an authentic Las Vegas experience with the quality and professionalism of its staff to provide the perfect party for any occasion. They use regulation size gaming tables, high quality casino chips and only the friendliest and most experienced dealers to create an exciting and unique party experience! Great for fundraisers, corporate events, reunions, birthday parties, graduation parties, Bar/Bat Mitzvahs, Bachelor/Bachelorette Parties, Holiday Parties. Ubetcha also can provide a wide range of party planning services: Entertainers, Magicians, Caricature Artists, Clowns and balloon makers, Murder Mystery Shows. . .
Amber Darrington, Pastry Chef & Owner of Le Cookie Monkey, offers a wide range of delicious cookies for any occasion, elegant wedding cakes and custom desserts. She uses the freshest seasonal ingredients from the Pacific Northwest to bake each and every delicacy, such as authentic buttercream frosting, rich dense chocolate ganache, raspberry filling created from local preserves, toasted almonds, decadent caramel, playful cinnamon and more. Says Amber, "We bring you the very best made with love!" Mark Lopez and his team at Crave Catering have traveled the world in search of menus with your event in mind. Their creations reach far and wide, with influences from Europe, the Mediterranean, Asia, India, Latin America, Hawaii, The South, South West, and the Pacific Northwest. The cuisine presents exceptional, local flavors without being fussy, yet provides a pleasant surprise for your guests. The well-planned use of these ingredients combined with exceptional presentation and tantalizing aromas will unwind your guest’s senses, enticing them to discover the incredible flavors within each bite. You and your guests will feel completely pampered knowing that your only responsibility is to sit back and enjoy the event. 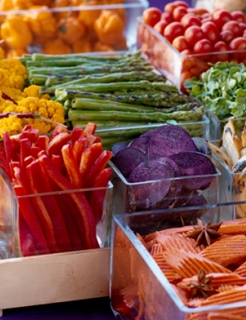 Food in Bloom Catering believes that the best meals begin with the freshest ingredients. So, when Viridian Farms delivers their just-picked green beans, they’ll end up on the grill within hours, not days, ensuring you and your guests only the very best. Executive Chef Billy Schumaker favors the signature flavor combinations of South American, Latin and other cultures whose culinary traditions are informed by the home cooking of its people. He is known for presenting all-natural, locally sourced and uncommon ingredients in new and interesting ways, appealing to the Pacific Northwest diner. Food in Bloom runs its kitchen like a high-end restaurant where everything is always made from scratch. They are also the only Portland caterer with an in-house pastry department. Event planner Erin Hight will work together with you to custom create a menu for your special event. 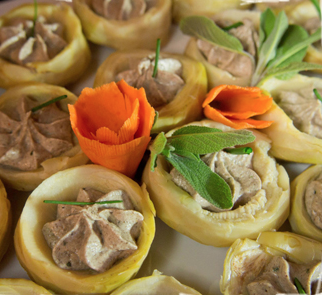 Vibrant Table believes that catering is more than delectable cuisine and impeccable service. It’s the perfect marriage of food, artistry and panache – an experience that captures your guests’ imaginations the moment they walk through the door. This full-service catering and event company uses venue, decor, floral designs, light, sound, food and drink to craft remarkable culinary performances perfectly tailored to the tastes and desires of its clients. Every event is a collaboration, says sales manager Karen Rich. "The first things we consider are the personalities of your guests, the size, scope and purpose of the event, and the atmosphere you want to create. From there we select the venue, develop a theme and we’re off." Clients may choose from a pre-designed menu or have a menu special tailored to their tastes. Award-winning Executive Chef J. Steven Brockman and his team create transformitive dishes and menus that will set the tone for your event, regardless of its size, scope, theme or style. Surroundings Centerpieces of Tigard helps party planners save time and money with its extensive range of ready-made centerpiece kits. "Because we provide everything you need, from the glassware and floating candles, to the decorative accessories, you don't have to run around looking for bits and pieces to decorate your tables," says Surroundings owner Cynthia Fonseca. "Your guests will love your Surroundings' centerpieces. We have put together a wide variety of high quality and unique floating candle centerpiece kits that are delivered to your venue and ready to go right out of the box - just add water." 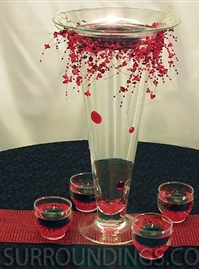 Centerpieces come in a myriad of sizes, colors and shapes to suit most any theme or color schemes. Sandi & Mike's Costume Avenue in Beaverton is your one-stop source for costume rentals and supplies. They offer a full service rental shop with a great selection of quality costumes, accessories, theatrical makeup, wigs, shoes, jewelry, and more. Costume Avenue specializes in costumes by the decade, with a full line of varied designs from the 1920s to the 1980s. Since 1978 Brian Smith's Mobile Music Entertainment Services has been providing music for weddings, company parties, birthdays, Bar/Bat Mitzvahs, graduations, reunions and more. Mobile Music also provides Casino Parties, AV and lighting Rentals, Karaoke Systems and Video Presentation equipment to indoor/outdoor team building games and mirrored party balls. 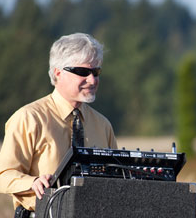 Music De-Lite DJ Service provides 1st class entertainment for wedding and party events throughout Washington and Oregon. From the music variety to the flow of events and announcements, you’ll love our personalized service! You’ll Get: a fun DJ/MC with lots of experience, music tailored to your requests, exclusive planning forms and crystal-clear sound. PLUS, custom lighting to create the unique party setting you desire. Contact Music De-Lite today for a guaranteed fun event! NW Mobile DJ Service is dedicated to creating unique, personalized events to remember. Kevin Venables and his team of experienced mobile DJ’s and MC’s serve the Pacific Northwest, providing high end, state-of-the-art sound quality, a diverse music collection, and affordable prices. Kevin strives for a musical selection that will create the right “feel” for an event, ensuring guests will have a good time. Style is also critical, he says. "Our style never steals the spotlight. We strive to be part of the event and not the focus. We provide a professional, understated presence while engaging your group with music for all to enjoy." In addition to DJ services, he provides karaoke, audio/video rentals, full casino, and interactive video games on giant, rear projection screens. Hula Halau 'Ohana Holo'oko'a dancers are experienced and graceful performers who will help you create an authentic Hawaiian experience for your guests. 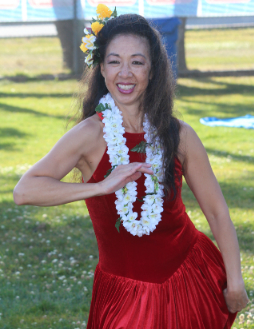 We can provide a single dancer for a backyard lu`au, private party or corporate event. For larger events, we have performance groups of 2 to 50 entertainers. We offer a wide repertoire of ancient and modern hula, Maori and Tahitian dance with traditional music and authentic costuming with costume changes. We can also provide a live Hawaiian band of up to 5 musicians, fresh flower leis and lei greeters. 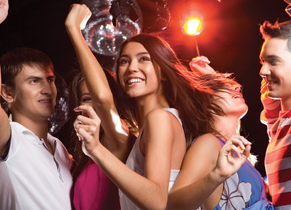 With our variety and flexibility we are able to customize a package to fit your party and budget. No event is too big or too small! Bridal Bliss has gained a reputation as one of the most innovative coordinators in the Portland wedding scene, willing to go the extra mile to ensure that every event is unique and exceptional. Nora Sheils and her staff demonstrate a passion for weddings, bringing a fresh and creative perspective to event design, and working with client’s budgets to create extraordinary events with contemporary style and elegance. Nora has won Oregon Bride Magazine’s Best Of awards six separate years, and recently was named Portland’s Best Wedding Planner and Portland’s Best All-Around Wedding Vendor of 2012, for the third consecutive year. Nora’s attention to details, strict standard for quality, fun enthusiasm, and comforting demeanor puts her clients at ease. Mandi Wiley and her team at Champagne Wedding Coordination is committed to excellence in wedding planning while maintaining all of the fun. They apply their motto, "live, laugh, love," ensuring clients do all three while planning for their special day. Champagne knows how important it is for your wedding day to be everything you dreamed. They also know how many details there are to coordinate and how stressful that can become regardless of how organized you are as a bride. Whether you need recommendations for selecting the most reliable vendors, guidance formulating a budget, help assembling invitations, or simply some wedding day assistance, Champagne will create a customized package to fit your specific needs and your unique budget. With an affinity for detail and organization and a passion for creating unforgettable events with outstanding customer service, Champagne can make your wedding day dreams come true! Floral Sunshine is a studio floral design business, located in beautiful North Portland, Oregon. We are your alternative to traditional flower shops, serving our happy clients with fresh customized orders at reasonable prices. Our versatile floral designs range from classic to modern and unique. Floral Sunshine doesn’t operate like a typical retail flower shop; we keep our overhead low by not stocking a lot of perishable goods, saving a lot on operating costs and passing on the savings to our clients. 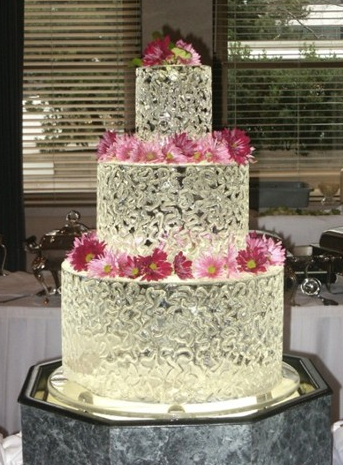 We offer radiant flowers for all occasions with full-service floral design. We serve you in all stages of life – literally in sickness and in health & happiness. Our floral arrangements grace homes, events, and businesses all around the Portland, Salem, and Vancouver area. 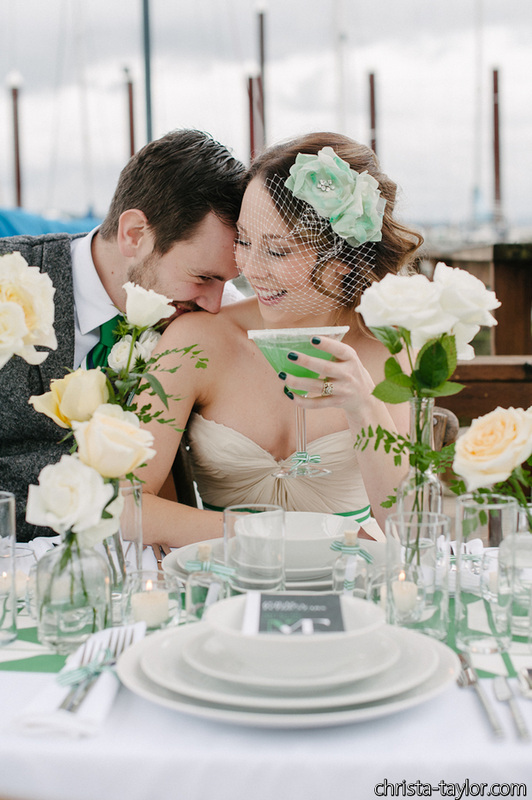 Flowers For You is a floral design studio that specializes in captivating designs for weddings and events. Owner Kay Dietl says she's dedicated to the highest quality, innovative creations and lush designs. “We work closely with Northwest growers and distributors to provide you with unbeatable quality and value,” says Kay. “Our passion for flowers and the art of custom designs will intertwine your personal style and dreams to create unforgettable wedding memories.” She makes use of rare flowers, unique color combinations, and the occasional fruit or other non-traditional highlight. Consultations are by appointment only. Creative Ice offers a wide range of sculpted ice designs for corporate events, parties, weddings, and other special occasions. Master ice sculptor Steve Cox brings over 20 years of experience to every handcrafted sculpture. His work has been featured at private events and large corporate functions, with a client roster that includes the Four Seasons Hotel, Microsoft, the Space Needle, the Seattle Yacht Club, Boeing, and Alaska Airlines. Sculptures range from original tabletop pieces and corporate logos to ice bars and ice luges. Creative Ice has even sculpted an 18-foot replica of the Eiffel Tower! Creative Ice blends new technology and hand-craftsmanship to create the perfect centerpiece for your event! GreenLight Creative is a full service lighting production company, specializing in creative lighting solutions for live events of all types. The GreenLight Creative team is headed by Dwayne Thomas, one of the Northwest’s premier creative lighting experts, and a pioneer in sustainable lighting operations and low-energy lighting solutions. Dwayne focuses on your event’s unique objectives, designing a lighting solution that helps you attain the results you need, at a price you can afford. GreenLight provides all lighting equipment and accessories necessary to create a magnificent atmosphere that will help inspire and motivate your audience whether the event is corporate, social, staged or as personal as your wedding day. Call for a free consultation. Cellist Cory Averill and violinist James McLennan have provided high-quality string music for more than 3,000 wedding Portland area ceremonies and events since 1989. Cory and James work with a host of selected musicians to perform as string duo, string trio, string quartet, and duo with flute or guitar. 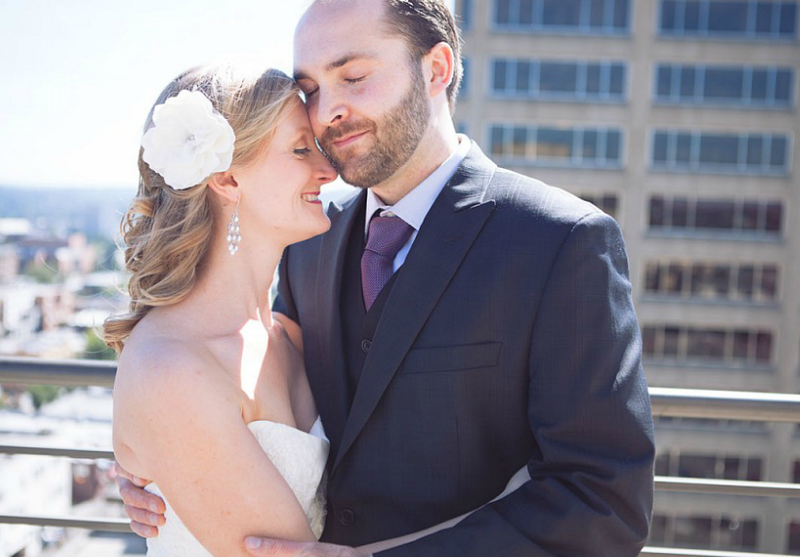 "To be part of a bride/groom's special day is a blessing and a gift," says Cory. Each wedding performance is created specially for the couple. In addition to their vast repertoire of classical string works and pop arrangements, Duo con Brio provides one special pop song arrangement for each couple at no charge. "What sets us apart is customer service, value, and the quality of our product," says Cory, who is also music director at the Portland Waldorf School. "We're driven to help people create lasting memories." Northwest Artist Management is Portland's premier source of special music and entertainment for weddings, concerts or special occasions. Northwest Artist Management has booked thousands of successful events since its founding by Nancy Tice in 1989. With a focus on quality and reliability, Nancy has built a roster that includes just about any style of musical entertainment or instrument: From Arias to Zydeco, soloists to elegant dance bands and hot Jazz ensembles, Caribbean, Hawaiian, Latin, French, Cuban Salsa, Blue Grass, Dixieland, Country, Blues, Greek, Variety, R&B and Soul Bands, Italian, Mexican/Mariachi, Reggae, Gospel Choir, Hindu, Middle Eastern, and Celtic ensembles, Bagpipers, Renaissance & "Merry Olde England", Folk musicians, African Drummers and Dance Bands, String Quartets, Chamber Music Ensembles, DJs, Magicians, Comedians, Caricature Artists, Holiday Carolers, Children's entertainment, Santa and Mrs. Claus, and Klezmer bands for Hanukah and Jewish weddings. Says Nancy, "We only work with people who make us look good, that we trust completely, so you can too!" Linda Smith, professional pianist and music coordinator with Notes of Celebration, can create and perform the soundtrack for the most important day in your life. Linda has been playing the piano and organ for weddings and events for over 20 years. She offers a wide repertoire to help you create a unique experience for your wedding or event through music. It might be a classical piece to add that extra touch of elegance, or something contemporary to modernize your event or even a theme-inspired tune that fits with the ambiance of the occasion. "I will provide a level of musicianship that goes well beyond playing notes on a page," she says. "I'll connect with you, your guests and the entire audience at your special event." Great wedding photographs don’t happen by accident, says Ara Roselani, one of the Portland area's leading wedding and event photographers. Rather, she says, they result from a unique relationship between photographer and client. "My clients trust me to tell their love story through photographs that truly reflect who they are, their relationships, and the intangible-almost-impossible-to-describe feelings they had on their wedding day," she says. "I want you to vividly feel the emotion of your wedding day for the rest of your life." Ara takes a team approach to wedding photography, covering the event with up to four photographers who share her commitment to treating each wedding and portrait with the excitement and reverence they would their own. "We work hard to make sure you adore your photos, thoroughly enjoy having them made, and feel that same nostalgia, like a favorite old song, whenever you see them." 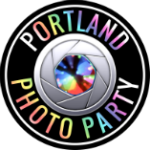 Atelier Pictures, one of Portland's premier film-making and photography studios, offers high quality wedding photography and event coverage through both media. Atelier is a team of best friends, Jonathan Marrs and Josh Ferdaszewski, who began making movies together in high school and later delved into photography. "We love to capture action in a way that effectively relates the experience to a viewer," says Jonathan. "We want to find a place where creativity, craftsmanship, and adventure collide." Atelier's approach to wedding photography strives to capture the many facets of the couple and their relationship. "You two are alive, passionate, sincere, lighthearted, and intricately connected," Jonathan says. "We celebrate your wedding alongside you as artists who use photography and film to acknowledge the art of your relationship." "I love things to be pretty, interesting, whimsical," says Julie. "I'm drawn to composing images filled with these elements and capturing them on camera. I'm constantly inspired equally by fashion magazines and my art history textbooks from college. I remember poring over my parents' wedding album as a child, so fascinated by their experience (and the ruffled tuxedo shirts). I love being a part of something your kids will love to look at someday. With that bit of 1974 inspiration in mind, I use a combination of digital and medium format film to capture the wedding day, ensuring a unique and timeless look. My goal in any portrait session is for you to be comfortable and at ease." You are excited to be married and totally in love! Your wedding photographs are very important to you - you won't settle for anything less than amazing. 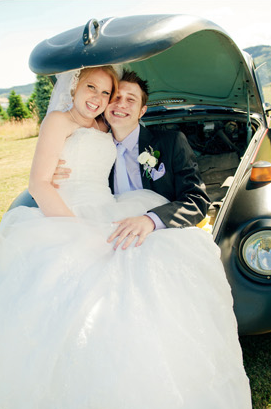 Being a wedding-only studio, we understand the importance of your wedding photos! Remember, these images will be family heirlooms that you hand to your grandkids. They will probably be one of the most valuable items in your entire house. This is how we feel about every couple we work with. We understand that there are a number of excellent wedding photography companies available to you. We work hard every day to stand out in this elite group of artists as the absolute best! We invite you to explore our website and contact us for additional information on our award winning service. Scott and Amanda, the husband and wife team behind Portland videography boutique Ambient Sky, are storytellers and visual artists who take a unique approach to capturing life's most memorable moments for bridal couples and their families. Drawing on their creativity and experience, they offer a Couture Wedding Film™ -- an unparalleled wedding film that more closely resembles a motion picture than a wedding video. They collaborate with a limited number of wedding cinema clients each year, devoting as much time and creativity into each couple's wedding film as they deserve. They are constantly looking for new and better ways to not only create more beautiful imagery, but to capture all the important moments throughout the day. Whether a moment is grandiose or subtle, they all link together to tell the couple's story.